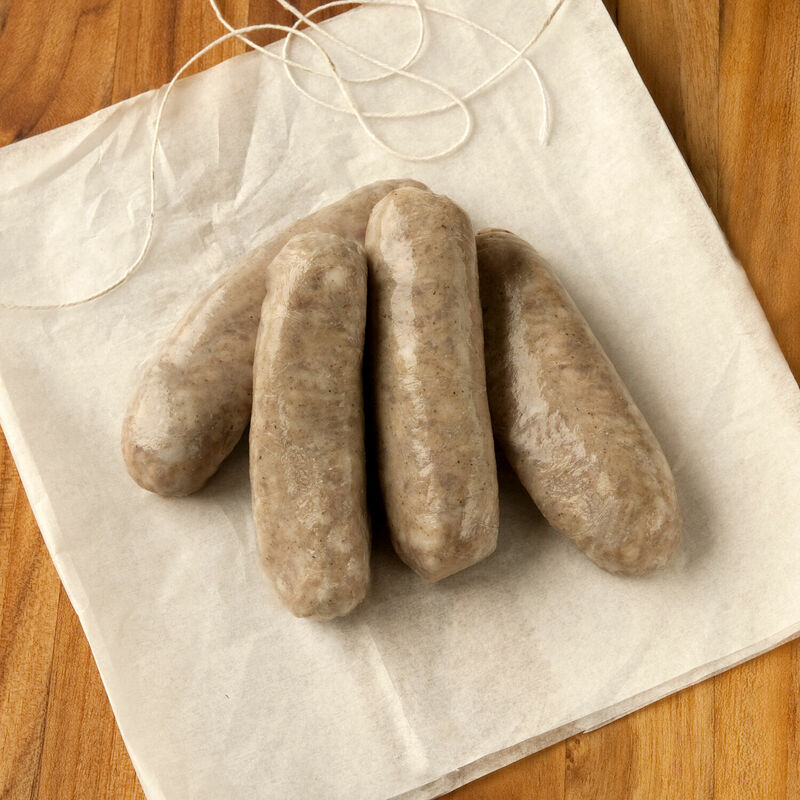 Rabbit sausage made from a mixture of rabbit and heritage pork, humanely raised with no antibiotics or hormones. 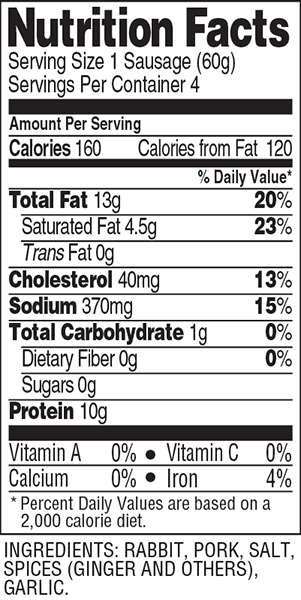 Handmade with no nitrates, nitrites or artificial ingredients. Rabbit sausage is mild and sweet with a subtle, gingery bite. Grill or pan-sear and serve over pasta or a salad for a quick meal.